The marks were originally thought to be graffiti but are now recognised as being protection against evil spirits from the underworld. 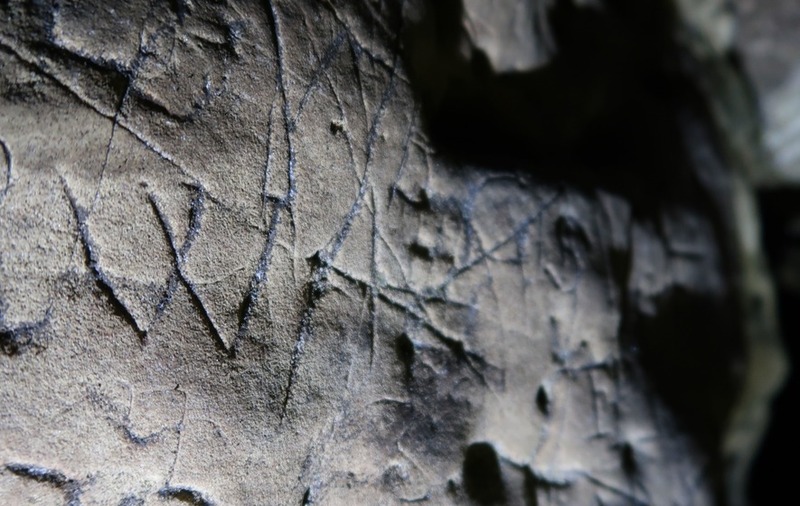 Hundreds of “witches’ marks” to prevent evil spirits rising from the underworld have been discovered in caves at a limestone gorge, experts said. The find, carved on walls and ceilings of the caves at Creswell Crags on the border between Nottinghamshire and Derbyshire, is thought to be the largest collection of its kind in one place in the UK. The marks were previously thought to have been graffiti from the time before the caves were shut off. Witches’ marks, or “apotropaic” marks, from the Greek word apotrepein, “to turn away”, are most commonly found in historic churches and houses, near doorways, windows and fireplaces, to protect the inhabitants from evil spirits. 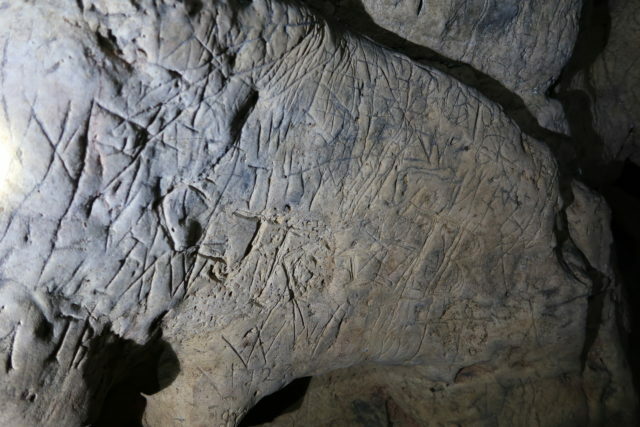 Experts said the number and variety of the marks found in the caves is unprecedented. Among the most common are the double VV engravings, thought to reference Mary, Virgin of Virgins, and PM or Pace Maria, while other symbols are believed to be devices for capturing or trapping evil, including diagonal lines, boxes and mazes. The marks appear to have been added to over time and may indicate a need to strengthen the protection against underworld spirits in response to unexpected sickness, death or poor crops, the experts said. 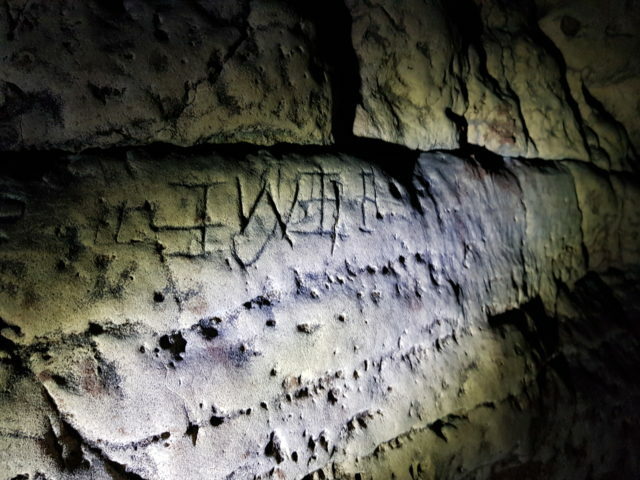 Until now the largest known quantity of witches’ marks in caves in Britain was 57 in Somerset, but the number at Creswell Crags is far higher – with hundreds in one cave alone and marks now found in all the caves at the site. The site has been a rich source of archaeological finds and even features Britain’s earliest cave art, with 13,000-year-old pictures of birds, deer, bison and horses. John Charlesworth, heritage facilitator and the tour leader at the time of the discovery of the protective marks, said: “These witches’ marks were in plain sight all the time. Academic and TV presenter Professor Ronald Hutton, an authority on folklore, said: “This discovery is significant because it looks like the largest assemblage of protective marks ever found in British caves, and possibly anywhere in Britain. 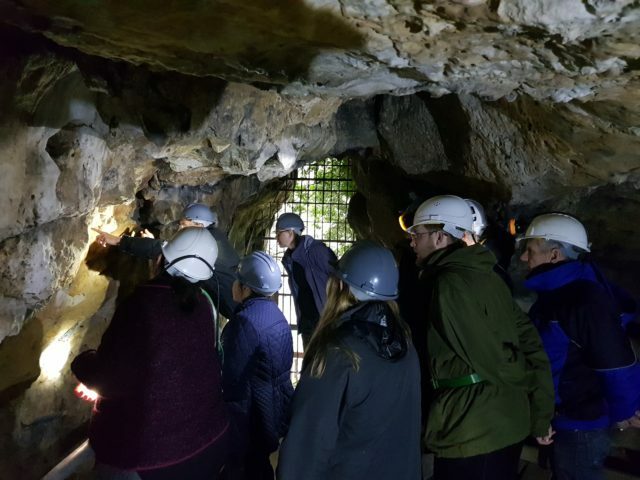 The team who look after Creswell Crags are now working with academics and experts from Historic England to better understand the significance and extent of the discovery at the site, which is a scheduled monument. 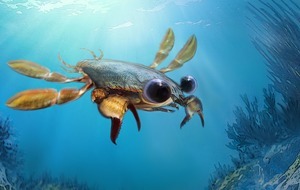 Duncan Wilson, chief executive of Historic England, said: “Creswell Crags is already of international importance for its Ice Age art and ancient remains. “To find this huge number of protection marks from the more recent past adds a whole new layer of discovery. “Even 200 years ago, the English countryside was a very different place; death and disease were everyday companions and evil forces could readily be imagined in the dark. Creswell Crags will be launching tours of the areas containing witches’ marks for the first time, from late February.